Price is per two of these beautiful beads. Heavy! Ideal for a pendant or the center-piece on a necklace. Each measures 39mm x 8mm. 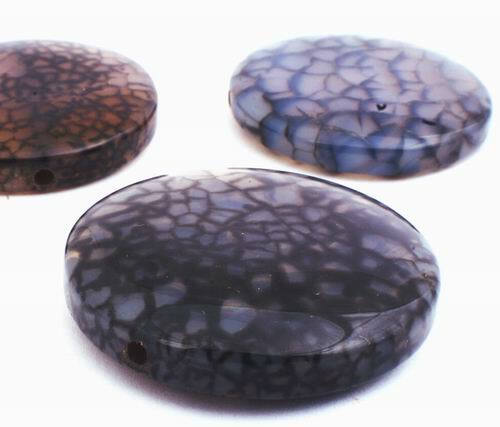 As they are natural, each will be slightly different color and pattern. Drilled ready to thread.